Inspired by the sunshine, we’re talking summer shoes today! 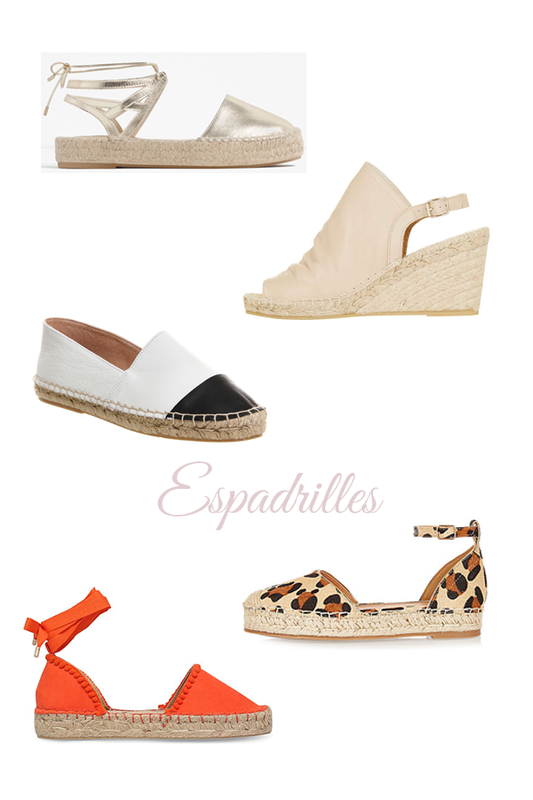 And nothing screams summer like espadrilles. We’ve spotted them everywhere this season in a range of styles – from classic slip ons to laced up lovelies and comfy wedges. Blending comfort and style, espadrilles are definitely a holiday essential. We love how versatile they are – you can literally wear them with anything! Here’s some styling inspiration spotted on Pinterest. Hope everyone’s week is off to a lovely start! Next Post Simple summer tops….